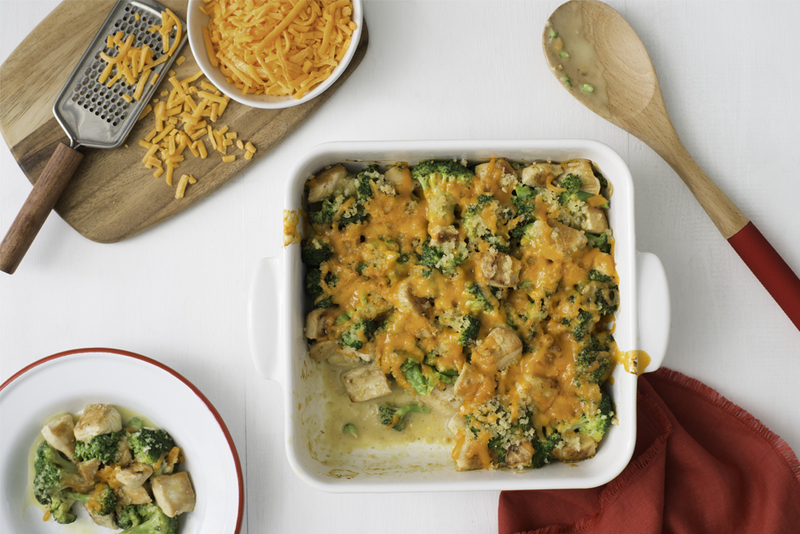 This easy and fast chicken broccoli divan dish is loaded with delicious creamy, cheesy flavour. Great for using up chicken leftovers! In a large bowl, whisk together the Broccoli and Cheese soup and milk until smooth. Stir in broccoli and chicken. Transfer to a 2 qt (2 L) baking dish. In a small bowl, combine breadcrumbs with melted butter. Stir through shredded cheese. Sprinkle cheese mixture over broccoli and chicken. From the variety of readily available salad greens – such as romaine,leaf lettuce and spinach – and wholesome multigrain breads,it is easy to round out meals with very little preparation time. Great recipe. I've made this many times, it's a favorite of my grand-daughter's and now she's making it too. One of 'Go to's' for and easy dinner. 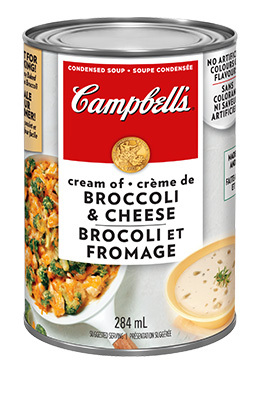 Love it, will only use Campbell's however the others are garbage. Great if you want to serve with rice, side salad, or pasta, or we like vegetables so we add more on the side. The recipe itself is easy to follow, I like cheese so I add extra and also extra bread crumbs. Campbell's has some pretty decent recipes! I have now made this many times, and it's one of my go to recipes for left over roast chicken. Very fast and easy.